Busy lifestyles, especially when traveling often, can lead to an empty refrigerator. 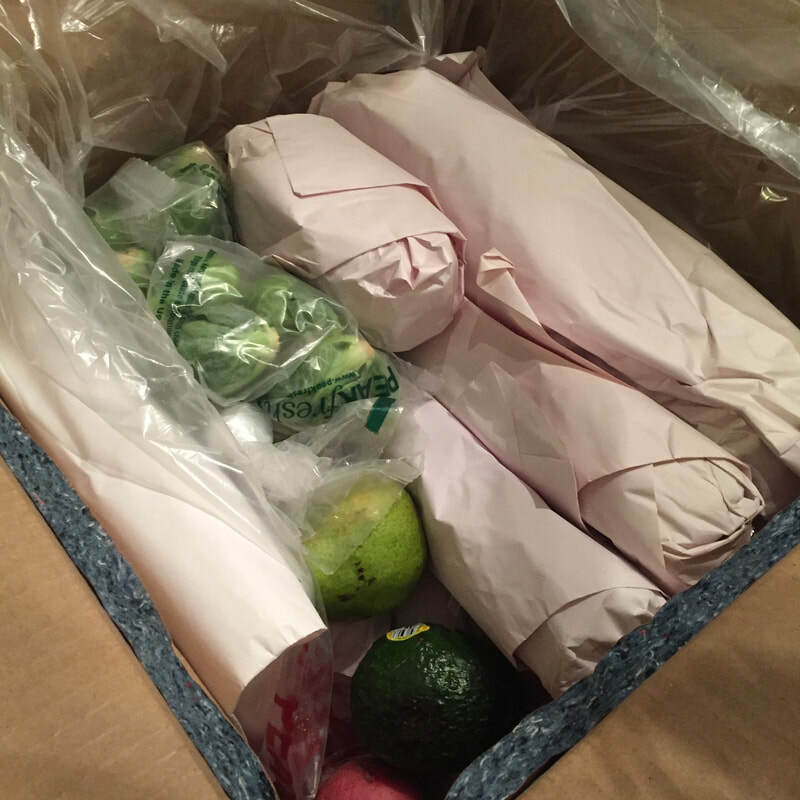 That's one of several reasons that I happily accepted the invitation to review Farmbox Direct. Having been away from home for two months, the timing was perfect. I truly missed eating a lot veggies and fruit while away. Plus - I loved reading about the company's mission to provide healthy organic and natural produce while supporting local farmers. As an Ambassador for Global Wellness Day --and-- as a certified Ambassador of the World Food Travel Association, I love sharing ways to live better, healthier and more socially conscious. This lifestyle hack to help you stay on track for eating well and good while saving time and having to decide what plant based food you want to shop for. 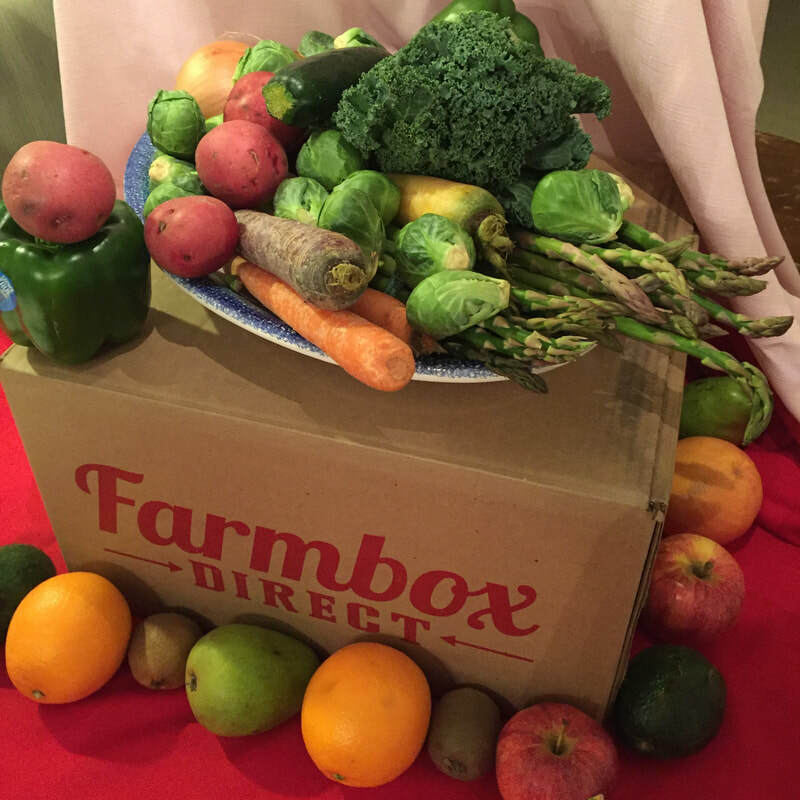 Farmbox Direct is a door-to-door service that deliver fresh vegetables and fruits from farmers markets to your home and is available throughout the continental United States. The selection changes with what's in-season and local. and, unlike other subscription services, boxes can be customized to accommodate allergies and preferences. As a food lover, I was excited to rip open my box and discover what was inside. 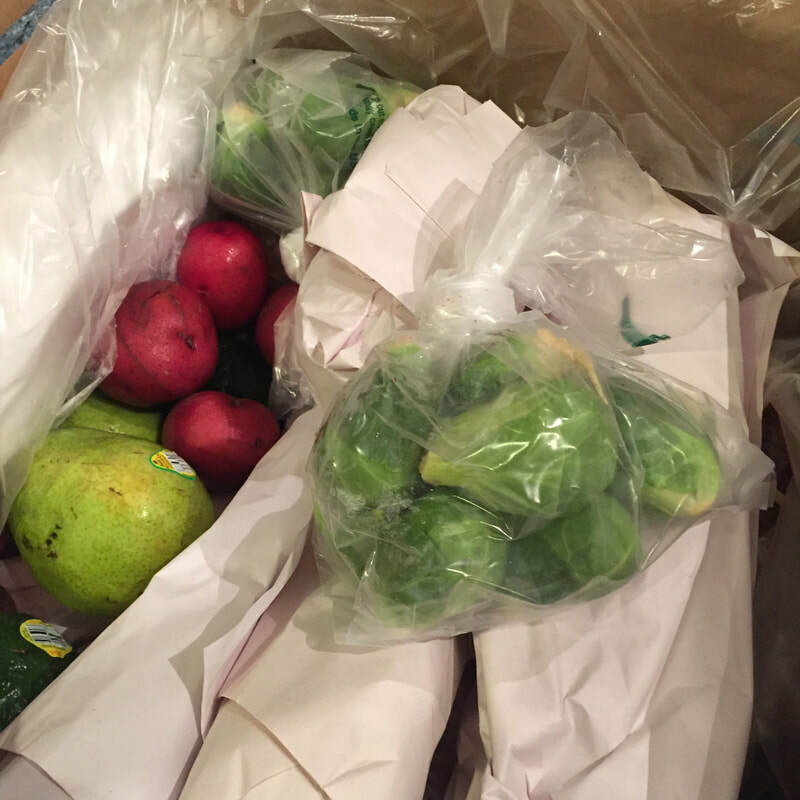 First impressions matter and I was impressed at how well the produce was carefully wrapped and packed. Asparagus, organic rainbow carrots, an onion and organic kale were rolled in paper, while sprouts were in plastic bags with holes to ensure freshness. Red potatoes and perfectly ripe organic green peppers were included. There were apples, naval oranges and kiwis, along with pears and avacados. The unveiling of the fruits and veggies was a lot of fun - it felt like Christmas for the plant-based foodie. All of the produce with the exception of one red potato were in perfect condition and fresh. My only suggestion to FarmFresh is to have an insert saying what's in the box as they do on their website. 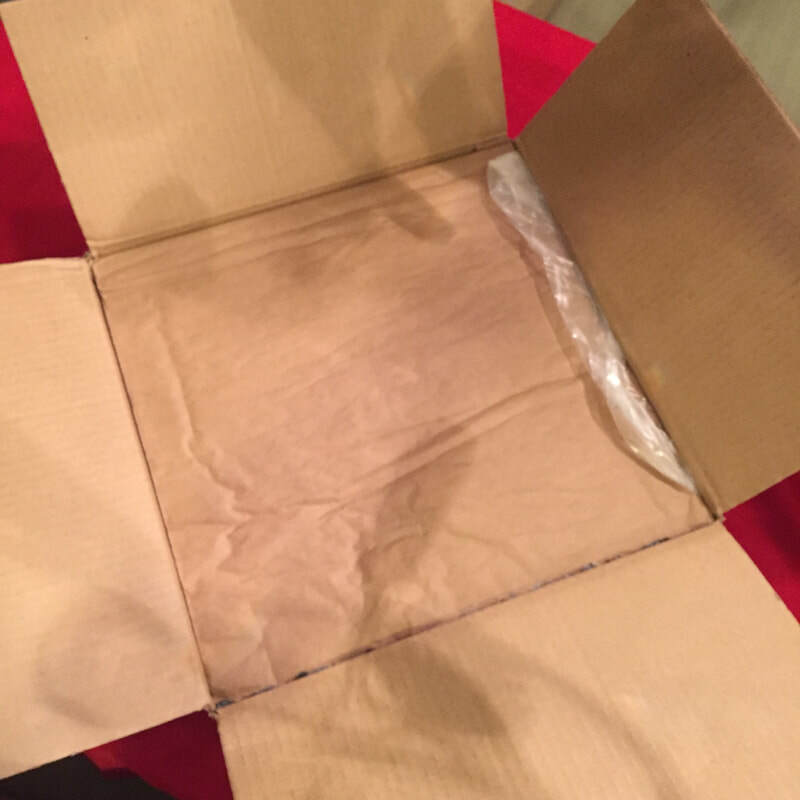 I wasn't sure which box I received but after checking, it looks like I received the Medium Organic Box. Most of the produce had organic stickers but not all. 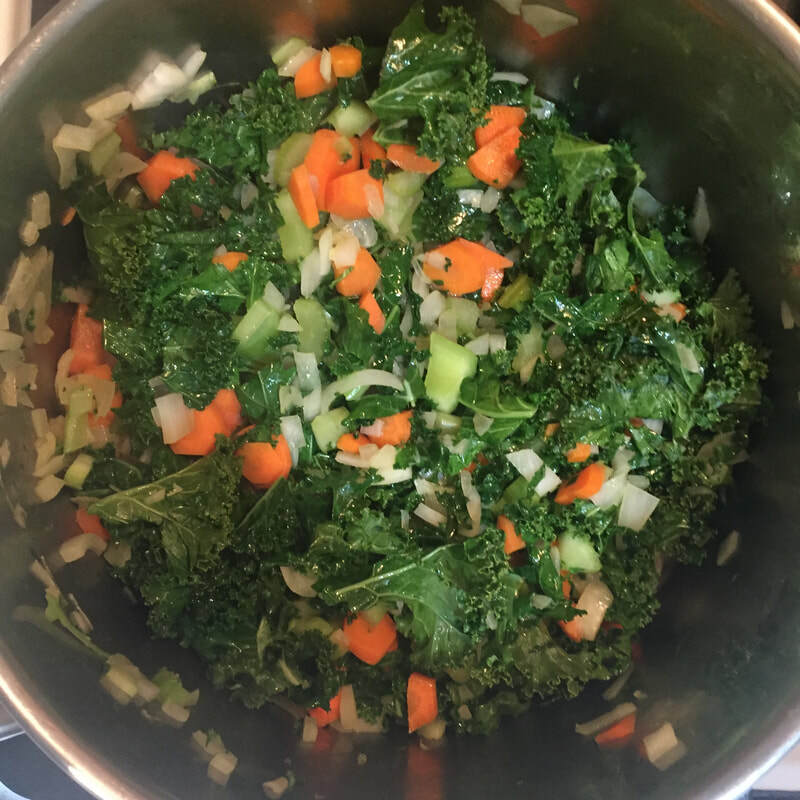 Upon receiving my box, I immediately set to work - first staging a few photos and then I made a huge batch of vegetarian soup that incorporated the carrots, onion, kale and potatos. I added in my own celery and a can of fire-roasted tomatos, added a few fresh springs of thyme and added a box of veggie broth. It was that simple - and super delicious. Just saute the onion, carrots and celery first until the onions are translucent. Then add the kale and saute. As this was happening, I cooked the potatos in my new InstaPot. Then added the broth and tomatos and let simmer along with the thyme branches (which I pulled out later.) I still have a whole lot of fruits and veggies to use and will probably most of the veggies for dinner tonight and enjoy the fruit over the next couple of days. The FarmBox Direct organic box ranges from $45.95- $66.95 or if you prefer to save a few dollars, the all-natural boxes range from $41.95- $51.95. 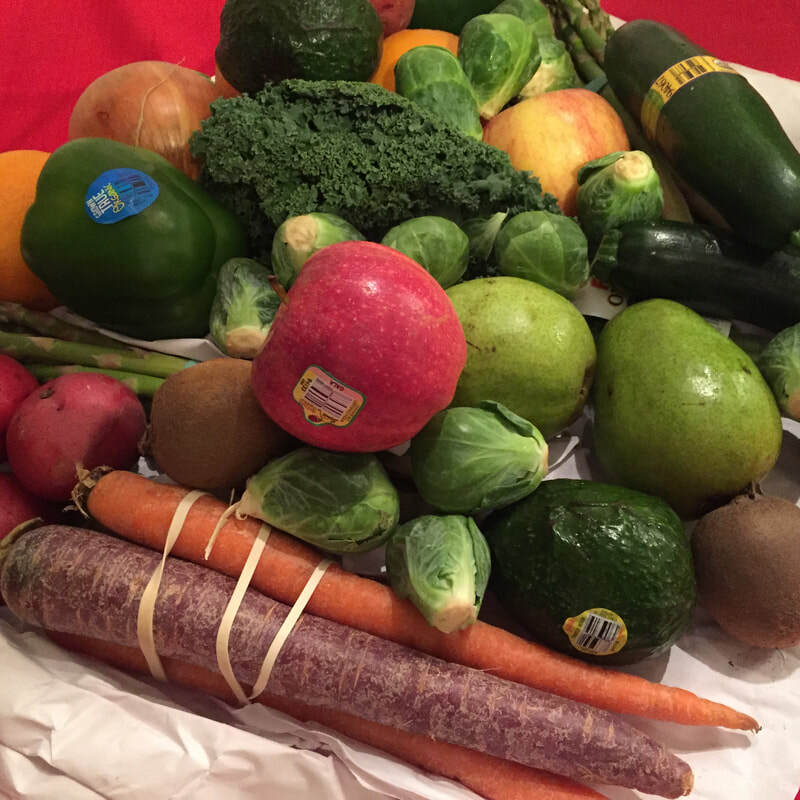 There are 9 boxes to choose from: small, medium and large organic boxes and small, medium and large all natural boxes in addition to green, orange and red juicing boxes. Bonus #1: customers can customize their box with up to 5 substitituions with each delivery. Disclosure: I was not financially compensated for this review. I did receive the product for the purpose to review the product/service. My opinions are my own. Side note: I was given an InstaPot as a gift recently and have been using it for soups and it's great for cooking potatos. To the right is an affiliate link to Amazon. There are a ton of great recipes for cooking plant-based food. The main reason the InstaPot was on my wish list, was to eat more plant-based food - and easily. As a girl who likes to eat, I am always happy to try new restaurants and food concepts. Invited to preview The Harvest Bar before it officially opened in LA , I was truly impressed at the fast casual/grab-n-go outlet. This superfoods cafe offers a good variety of smoothies, breakfast bowls, warm savory bowls and a selection of coffee and tea. 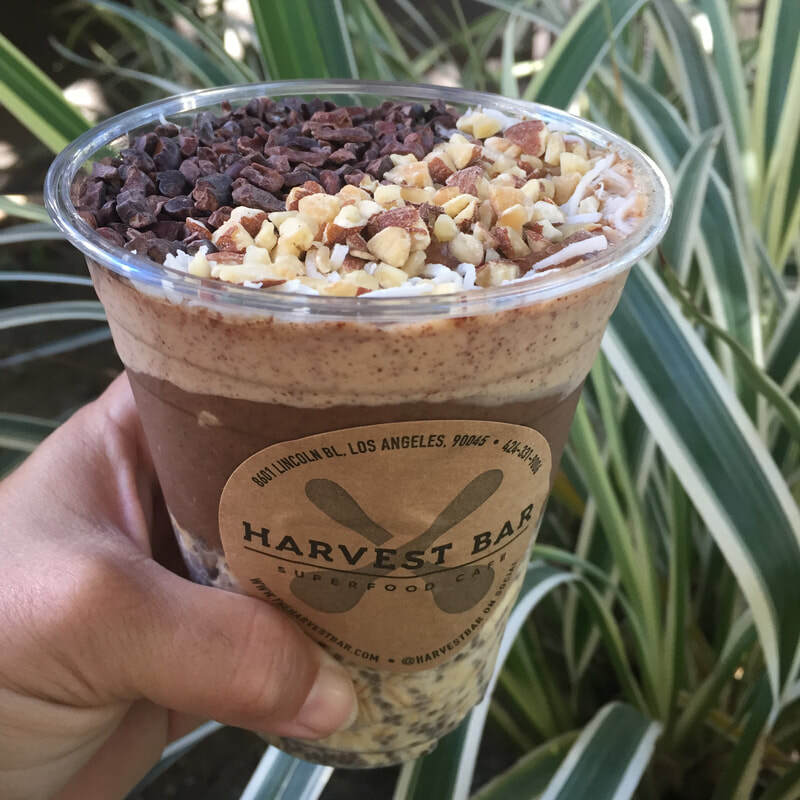 Personalization in LA is key and there are options for vegan, gluten-free and spicy eaters and customers get to select exactly what they want in -- or added to -- their bowls. Being a huge wellness advocate, I loved hearing that the owner was inspired by street food in Brazil and is motivated to democratize good, fresh, local food options. Pretty sweet! I went with my best friend and we agreed that this was a great place and would come back on our own. I highly recommend the Butter Coffee which is blended organic coffee with organic coconut oil and grass-fed butter. For BulletProof coffee fans, you know what I am talking about! My friend intially went "yuck" until she tasted mine and changed her mind. Yummy! Another hit was the Avochoco Smoothie - which again, my friend squinched up her nose but ended up loving it. (Avacado, coconut milk, dates, coconut butter, organic coconut oil, cacao and chocolate nibs) While probably not light on calories - I have to say - heck yes!!! Protein Blend: organic acai, peanut butter, banana, hemp protein, dates, hemp milk. 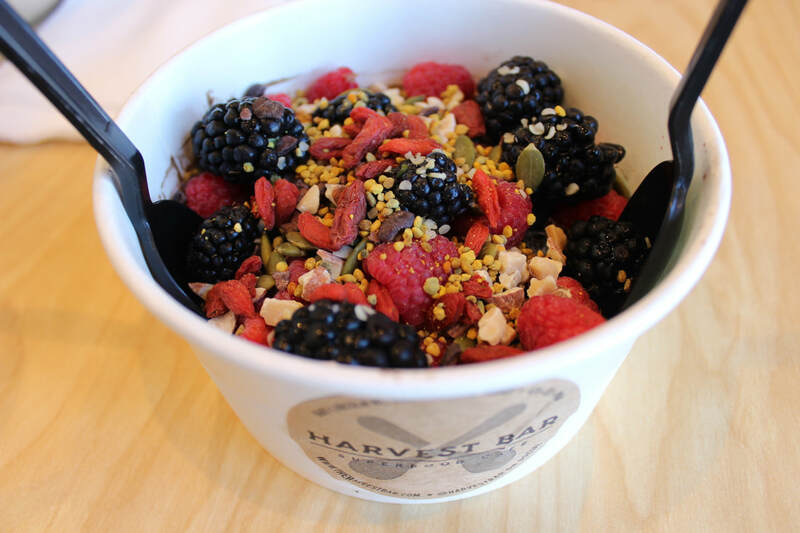 Toppings: almonds, pumpkin seeds, bee pollen, hemp seeds, cacao nibs, goji, your choice of fruit. Personalization: We selected blueberries, raspberries and blackberries. Bee Pollen: The little yellow things are bee pollen, which, according to the U.S. National Libary of Medicine, "... demonstrates a series of actions such as antifungal, antimicrobial, antiviral, anti-inflammatory, hepatoprotective, anticancer immunostimulating, and local analgesic." Hemp Seeds: A little woo-wooy and crunchy-granola, hippyish was my initial reaction, until I liked what I tasted and then was curious to know more about hemp seeds. Hemp is good for your heart and is high in Omega 3 & Omega 6. If you want to know more click here. ​I ended up buying both as Sprouts and have included bee pollen and hemp in my daily diet. 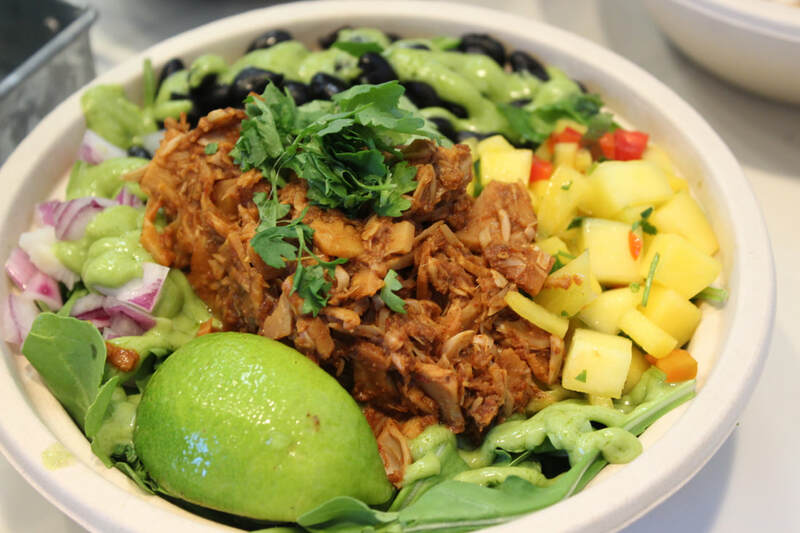 Ingredients: organic quinoa, brown rice, black beans, homemade jackfruit carnitas, locally grown baby wild arugula, cilantro, red onion, mango salsa, lime, avocado cilantro cream. What I Learned: Jack fruit was used to mimic the taste of carnitas. It was so good then I could not tell the difference between carnitas and the plant-based version. True! Not kidding! Curious to learn how to do this myself, I found this article, "Jackfruit: This BBQ pulled "pork" is the healthy food trend you need to try." 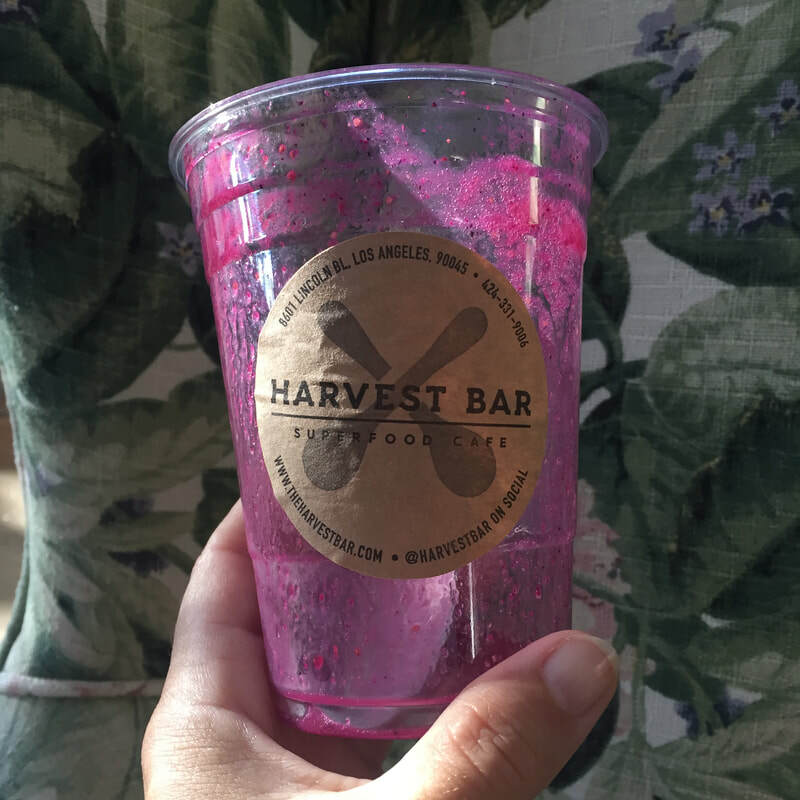 Ingredients: dragon fruit, strawberry, banana, agave, apple juice. What I Learned: This was good to the last drop! Refreshing and a gorgeous color to boot, this was one of my favs that is perfect on a hot day. 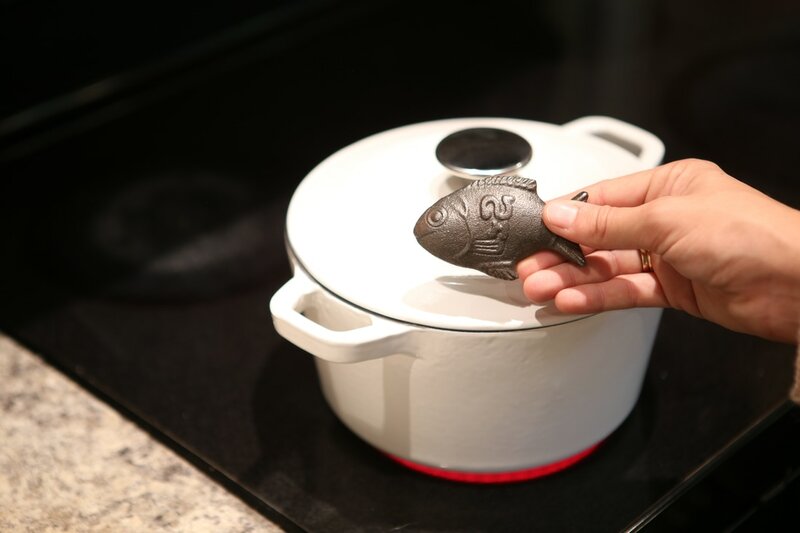 Lucky Iron Fish: Put a Fish in Every Pot! What's a Lucky (Iron) Fish? The Lucky Fish caught my eye - the name alone is an attractive proposition, conjuring up thoughts of happiness and health. This little iron fish, which you can hold in the palm of your hand, is a carefully designed health innovation that can actually improve your health by improving your iron intake. When your blood doesn't have enough red blood cells, that’s when anemia occurs. That means either your body isn’t making enough red blood cells or your body is destroying your red blood cells or bleeding us causing you to lose more red blood cells than your body can make to replace them. There’s a way to change that…. with a simple, affordable, and effective solution anyone can use. 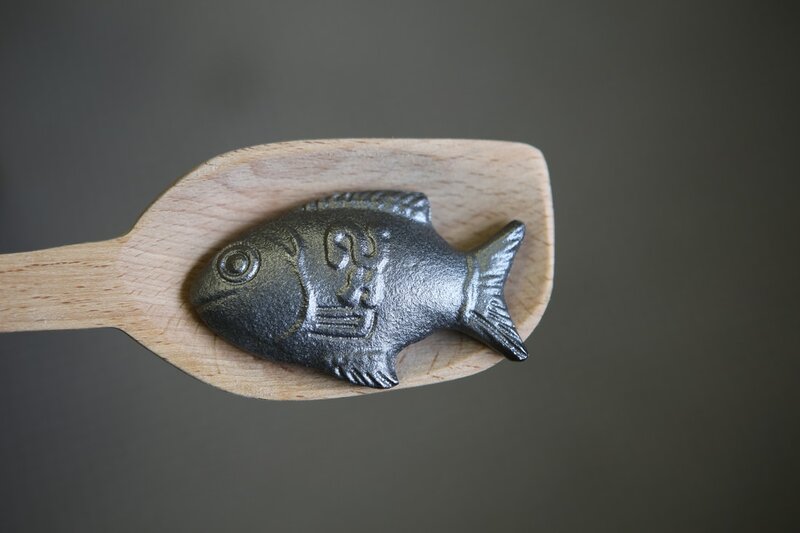 Each Lucky Fish is made from a special type of iron. The shape, size and weight are carefully calculated so the Lucky Fish releases roughly 70 micrograms after use. The key is following directions and allowing 10 minutes of boiling in acidified water. The LuckyIronFish.com website has a "Recipe Tank" for soup, tea, rice, sangria and other recipes. To increase your iron, all you have to do is cook with one Lucky Fish. Add ingredients & enjoy your meal! ​We’re dedicated to leading the fight against iron deficiency in Cambodia and around the world. And we know that the Lucky Iron FishTM can and will make a big difference. We’ve made it our mission to put a fish in every pot. ​Lucky Fish was created with the mission to improve the health of others in a measurable and socially responsible manner. 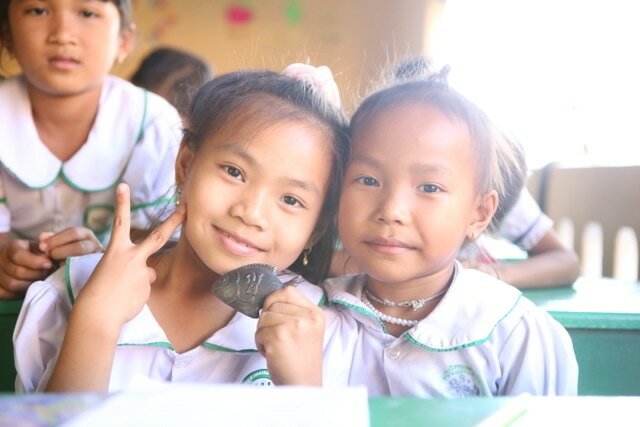 One Lucky Iron Fish can provide an entire family with up to 90% of their daily iron intake for up to 5 years. The company is committed to hiring local staff, using recycled and biodegradable materials and supporting like-minded businesses and organizations. Click here to read my exclusive interview with Dr. Armstrong and why he does what he does! I received a Lucky Fish in exchange for writing a review. ​My opinions are my own and I only write about things I really like and think you would too! One of the most fascinating aspects of South Korea for me is the influence of traditional Buddhist and Confucian philosophies observed in everyday life. Buddhist temples co-exist within the bustling urban landscape of Seoul. Temple stays are one of the top draws for many tourists. A visitor can stay for a night or two and experience monastery life. What I didn’t know is that there are actually temple restaurants that are owned and operated by Buddhist orders, serving highly specialized plant-based, monastic cuisine. Delighted to experience this for the first time, the Korean Tourism Organization hosted a lunch for speakers of their 1st Wellness Tourism Forum at a traditional temple restaurant called "Balwoo/Baru Gongyang (발우공양)", which is literally translated to "monastic formal meal". 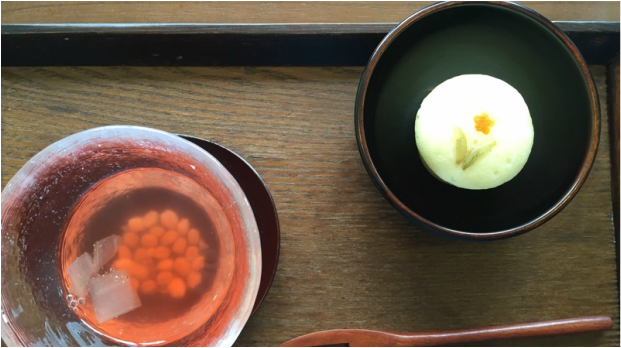 Located in Insadong in a five-story building that is also home to the TempleStay Information Center, the restaurant is operated by the Jogye Order of Korean Buddhism. 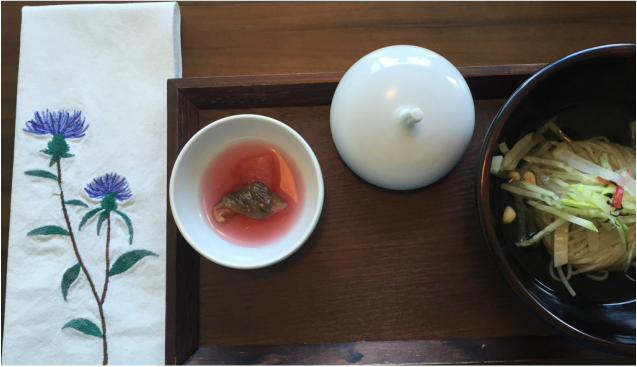 CNN Travel voted Balwoo as one of the "Best 7 Restaurant for the Seoul Herbivore." There is no fish and no meat in keeping with the Buddhist reverence for all life and living in harmony with the world. Also the monks believe that garlic, onions, green onions, leeks and chives hamper spiritual practice so there ingredients are not used in monastic cuisine. Natural seasonings and flavor enhancing powders are used including kelp, mushroom, bean and powders from seeds are used to make vegetable dishes, soup and kimchi. Because Korea’s has four seasons, preserving methods such as pickling, dehydrating and fermenting were developed so that the vegetables and plants grown in spring could be eaten in the winter months. Plant-based food preserved in red pepper paste, soy sauce, soybean paste, salt and vinegar can be stored for a long time without losing any nutritional value. Fermented food has become more popular in the West, especially because for its healthy properties – said to lower cholesterol, boost immunity and inhibit cancer. As a whole, Korean food is low in cholesterol, nutrient-dense, high in fiber. 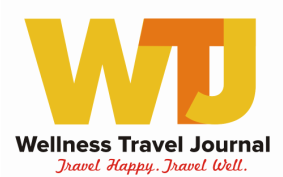 “Breaking bread with Wellness” was one of my wellness travel trends of 2014. 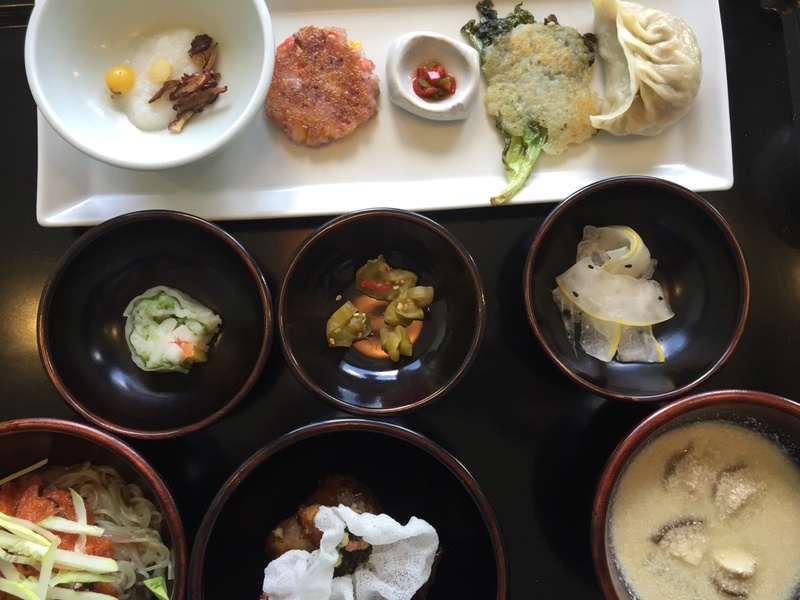 Cooking and eating are both physical and often spiritual practices, and this is especially true when it comes to Korean Temple food. At Buddhist temples everything is a practice. Meals are prepared with intention and mindfully made every step of the way. My meal was artfully created, beautifully plated and was a joy for my eyes and mind. 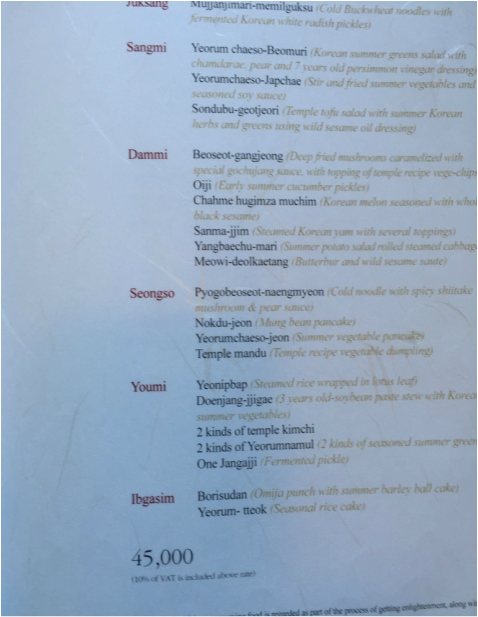 Admittedly Korean food is a departure from what I usually eat and relied on the menu description to understand the various vegetables, roots and herbs over the course of the fixed price meal. 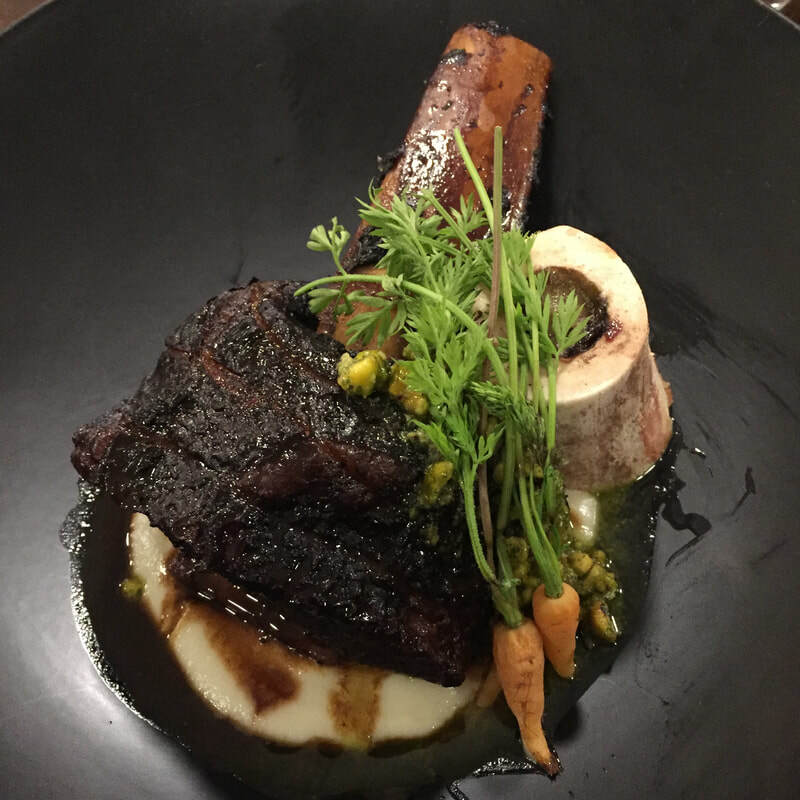 I felt especially good enjoying a 100% cruelty-free, eco-friendly, healthy dining experience. Perhaps if more people knew about temple food, the world would not only be healthier but more in harmony. Good for mind, body and spirit! Highly recommend and would like to go back! Recently invited to trial the relaunch of a health-focused meal delivery service in Los Angeles, I was curious and gave Fitness Kitchen LA a try. Two thumbs -up! Fitness Kitchen LA is lifestyle service for health conscious Angelenos wanting optimally nutritious, delicious and restaurant quality meal plans conveniently delivered to their doorstep. Fitness Kitchen taps into a network of California vendors for locally sourced ingredients such as grass-fed beef (no hormones or antibiotics) free-range poultry and eggs, wild-caught fish and seasonal, local produce. Complete a form that will determine your meal plan and your menu. Do you want to trim, maintain or train? These are the 3 choices of the meal plans and each plan includes lean proteins, complex carbohydrates, healthy fats and fresh vegetables and fruit. Bright and early, there was a delivery at my doorstep. Packed neatly in a square cooler bag were my 4 menu items, numbered for each meal with my name on the front. Unpacking each meal was a treat. 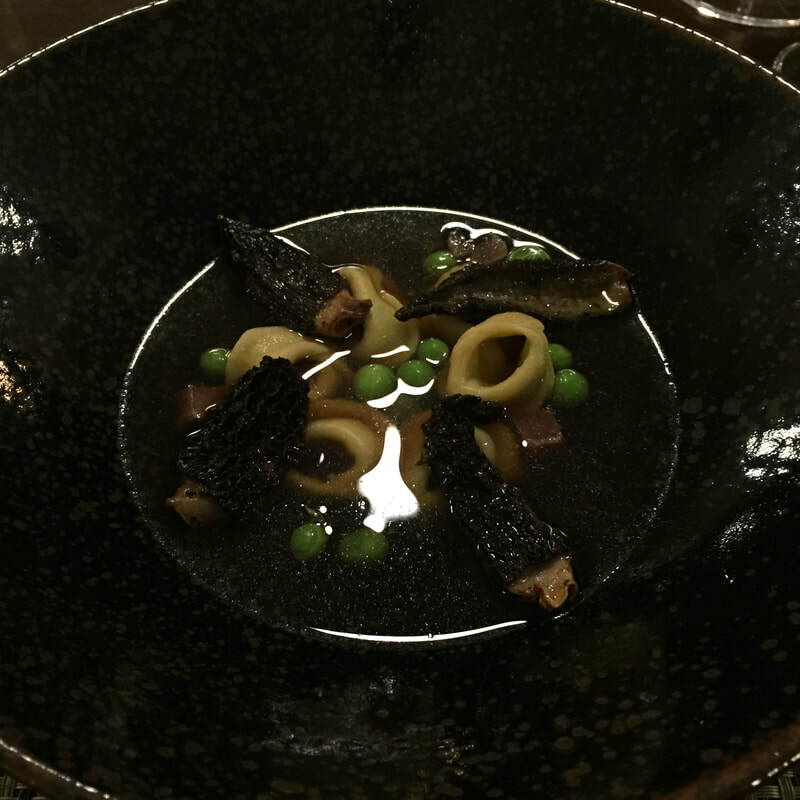 I could see each meal was very fresh, well- presented, looked attractive and contained quality ingredients. Their website states "Fresh, local ingredients and food that taste like it came from your favorite restaurant" and in my opinion that is a true statement. If you want to get an idea of their weekly menu, click here. During the 2 day trial, I actually looked forward to each meal and it made me more conscious of portions and how just a little of this or that can add flavor, texture and color without going over board. My favorite meal was Fitness Kitchen LA's Paleo Banana French Toast with coconut berry compote and garnish of strawberries. Oooo lala! With the 4 meals provided each day, I didn't feel deprived even though I was on the trim plan. I also really enjoyed the kale and butternut squash salad with pulled roasted turkey. Whoever pulled the turkey took great care in ensuring there were no fatty, stringy, ligament-y parts - and it was super high quality and delicious. 4 Meals delivered daily to my doorstep - super fun! Please note: Discount promo can not be combined with another promo. Sign me up! I could hardly wait for my half day cooking class with The Siam Hotel's Executive Chef to begin. I was smitten with the idea of learning how to cook Thai cuisine with a top chef from one of the best luxury hotels in Bangkok. 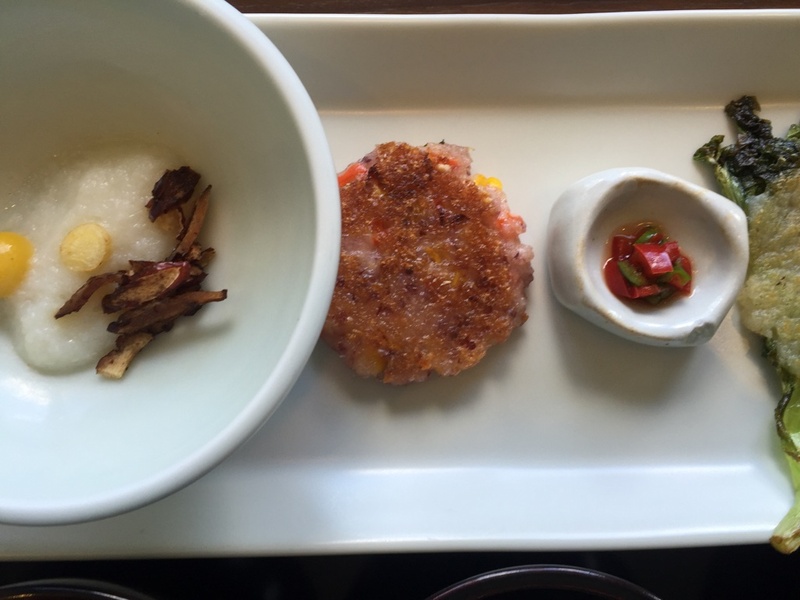 There were 4 parts to this food adventure - a curated visit to the local market, a tour of The Siam's urban garden, private cooking class and the joy of eating. On a gorgeously hot and humid September day, Executive Chef Damri and I started our food adventure with a tuk tuk ride (my first!) to a local and authentic market. That in itself was a hoot and I've got the video to show it! Arriving to the market, Chef Damri smartly selected the produce section to start our tour. Picking up a bunch of herbs, he'd ask me if I knew what this or that was. It was a fun way of learning and I knew more than I thought I did. As we proceeded to the fish area, we passed a stall with hanging intestines and other meat. It was gross (animal lover here!) but still interesting since most of us in the West are completely separated from the butchering process. The fish area - oh my! - had all sorts of squiggly, mystery things - some identifiable like squid and eels - and things I had never seen before. There were pastes and curries that we past and a man working hard to extract the water from coconuts. Yes, the floors had mucky water and fish heads were being chopped off but the authenticity (with no American or other tourists to be seen) made the visit all the more special. This was a remarkable first-hand look at what is perhaps akin to our Farmer's Market. Before departing I spotted a vendor selling coconut dessert, ordered 6 to share with the staff and headed back The Siam a happy camper. Why mention this? Urban gardens are beneficial to guests, property and planet. Growing flowers, herbs, fruits and vegetables contributes to the guest experience, giving an added boost to serving up the freshest and tastiest of meals. For hotels and restaurants, urban gardens are a brand booster and can help with the bottom line. Grown onsite minimizes the costs of shipping produce and plants improve air quality, which is especially helpful to reducing city smog. I personally respect a restaurant/hotel that actively sources locally grown ingredients and shows concern for the environment while serving up delicious, eco-licous cuisine. Let's cook! With only two cooking stations, this was a truly private and intimate experience. The kitchen has been prepped with a big beautiful basket of fresh produce, gas cooking stations, pots, mortar and pestle and all the ingredients and cooking tools needed to prepare the three dishes I chose. The setting was GORGEOUS overlooking the river. The cooking school is in a charming (and small) authentic Thai house. The Siam's F & B Manager arrived to give us a warm welcome and as I donned on my apron, I noticed in the adjacent restaurant there was a live jazz band playing for the Sunday brunch crowd. HEAVEN! Bantering with Chef Damri was easy and our conversation flowed about food as love, cooking with a smile, the right ingredients make all the difference to knife skills and more technical instruction. While I can't say I mastered Thai cuisine, this was a happy and memorable experience where I enjoyed exotic aromas in a historical setting. listening to live jazz, overlooking the soothing water of the Chao Praya River and reveling in the total experience. Check out our 1 minute video on the The Siam Cook School here. Until visiting Stockholm in June, I was a raw food newbie. 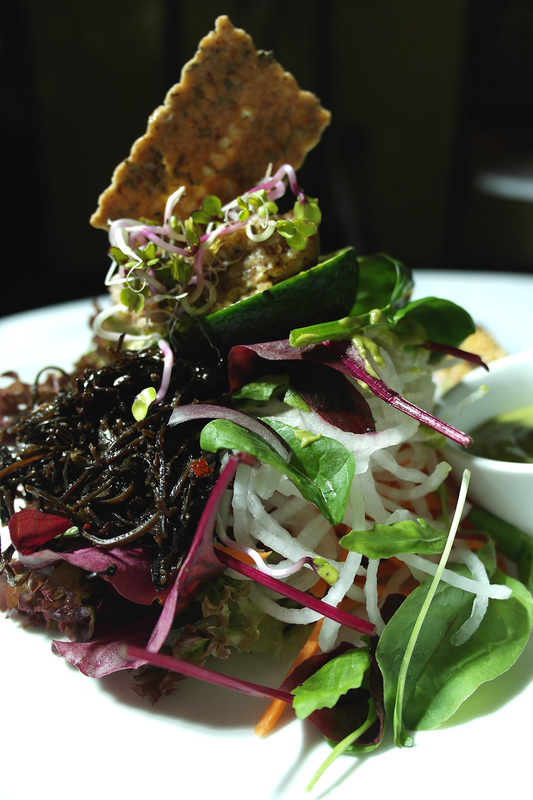 It was out of pure good luck that I was introduced to Micael Friberg's raw & organic food restaurant, Ecobaren. The Stockholm Tourism Board extended an invitation to experience Stockholm's historic art nouveau spa, Central Badet, and dine at Ecobaren on premise. Located above the spa area, the vibe is upbeat, simple and sleek. My brother and I dined in our spa bathrobes along with other spa guests which felt utterly indulgent. Being of Italian decent, I am always up for food and new experiences. I wasn't sure if raw was a PC way of referring to rabbit food but I can assure it is not. 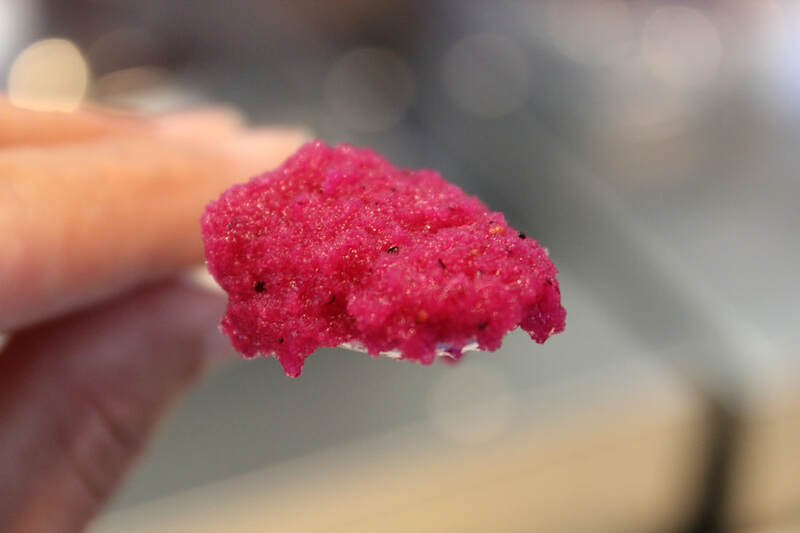 Tasty, healthy, created with innovation and artfully plated, I discovered raw food is an art form with great attention given to sourcing, preparation and presentation. Equally impressive is Michael Friberg's passion for his business and for helping others achieve better health. Attentive, friendly and very open to our many questions, Michael helped us select a veritable raw feast accompanied with flights of organic raw wines. In reading the Swedish to English version of Ecobaren's website, the copy is fresh and inviting. I've modified the translation to read more smoothly. See below. Ecobaren is the small water hole with the big heart, where the guiding principle is the awareness of human and planetary health, reflected in the carefully and lovingly designed menu. A unique and relaxing spa environment invites the body and mind to relax, while a variety of natural ingredients served in a well-taste experience. Carefully selected organic wines, champagne, cider and a wide variety of nutritious and refreshing drinks along with our snacks and meals allows you to fill yourself with organic food and life-giving raw food in an ecological feast. What I also liked in particular was food education on the menu. For example, there is a legend identifying gluten-free and lactose free menu options. The menu also expressly states that no microwave, frying techniques or fryer or aluminum containers are used in the restaurant. Also, raw food is defined as a cooking technique where ingredients are prepared or cooked below 40-45 degrees Celsius. Lastly, I am a huge fan of Non GMO so to see that on a menu is a great plus. Toast Skagen: shrimp with seaweed caviar with a bit of dill, lemon and horseradish. This was yummy and this type of shrimp salad with mayo is a favorite dish in Sweden, often served on top of a baked potato or with crackers and toast. Yummy! Cracker & Cheese Selection: The most amazing crackers made with dehydrated seeds and cherries were presented to us. They were amazing! Taco Wrap: By far this is one of the healthiest tacos I've had in a long time! Made with zucchini, sunflower seeds, walnuts, chili, coriander, sour cream with a side of salsa. Wines: Michael treated us to a flight of really wonderful wines. To be honest, we were having such good time chatting, drinking and eating that I neglected to write down details but the full drink list and menu items can be found on their website. If you wonder what the health benefits of imbibing in organic wine, here's an interesting article. Banana Cream Pie: Oo la la! Oh my gosh, my brother and I absolutely loved this dessert made with a nutty chocolate base, date toffee, bananas and coconut cream. 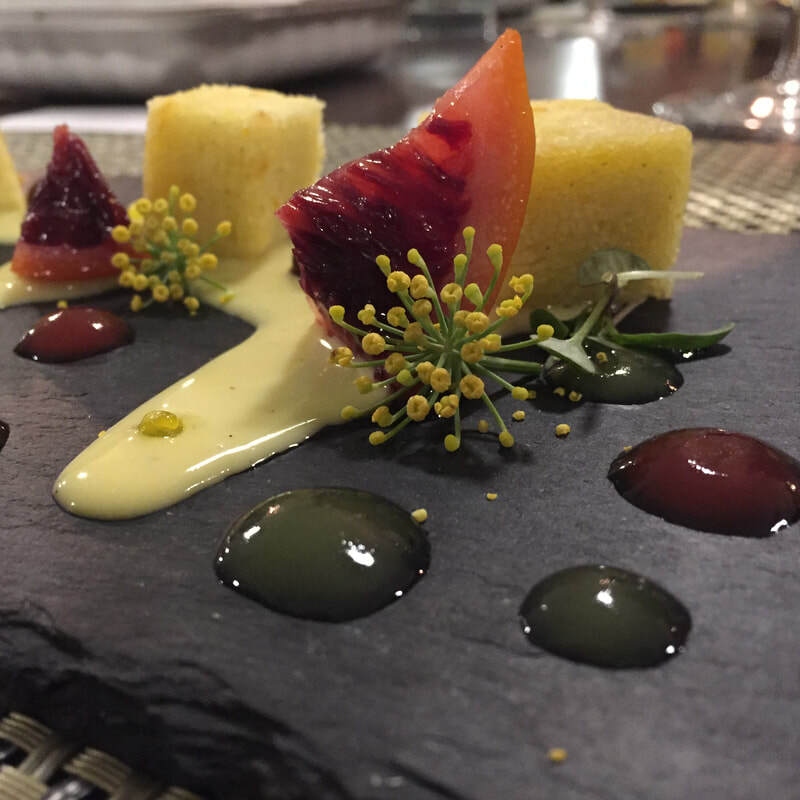 Interested to know more about a chef who's tagline is "Crafting the future of food", I set out to explore Matthew Kenney's newest restaurant, Plant Food and Wine with my colleagues from the World Food Travel Association, President, Erik Wolf and Gary Grant. The Concept: The restaurant introduces nutritious plant-based food based on Southern Californian fresh produce. Raw, organic and fresh are taken seriously and sourcing is key. There's even an urban garden onsite for edible flowers and herbs. Modern and classic cooking techniques are combined with aesthetics to create plant-based dishes that are fresh, delicious, healthy and visually appealing. “Our goal is to create a space where we can share our expertise of the most nutritious and absolutely beautiful cuisine with locals and visitors,” says Founder Matthew Kenney. The restaurant space is clean and sleek with seating for 65 guests indoors and outdoors. With the sunny California weather, our party enjoyed our garden courtyard seating where there were olive trees providing a natural setting with a Mediterranean vibe. The lunch menu was organized into snacks, cheeses, lunch and desserts and small and large plates. Our table ordered sun dried olives with pistachios and citrus segments (so yummy!) and a selection of "cheeses" that were made from cashews, macadamia nuts. Eric asked the manager about water conservancy and the amount it takes to grow an almond and we found Shaun to be a font of knowledge. The amount of water to grow an almond is incomparable to the amount of water needed for meat production. Great point. We all had different items for lunch and I opted for a more Sunday brunch-y version of French toast with berries and frothy almond milk that hit the spot. Zucchini tagliatelle with sweet corn and sunflower seed romesco and Haas avocado paired with watermelon radish and risotto with summer peas and watercress were on the lunch menu. Clorella olive oil cake served with fig gelato is the perfect finish and banana split with goji, hemp and maca illustrate the creativity in these menu. What I find to be of particular interest is touring the newest location of Matthew Kenney Culinary Academy located above the restaurant. Food & Wine Magazine recognized this academy as one of the world’s best cooking classes for its personalized, small class, hands on instruction emphasizing whole, organic, unprocessed, plant-based foods to achieve healthy, aesthetically refined and flavorful cuisine. Plant Food and Wine is located at 1009 Abbot Kinney Blvd, in Venice CA. More information can be found online at PlantFoodandWine.com. Matthew Kenney is the world’s leading raw food chef, the writer of several best-selling cookbooks, a culinary educator, speaker, and an entrepreneur specializing in the plant-based lifestyle. He has authored 12 cookbooks, including his memoir Cooked Raw: How One Celebrity Chef Risked Everything to Change the Way We Eat, released in January, 2015. Kenney was honored with a James Beard Foundation Rising Star Chef nomination, receiving much acclaim. Kenney is involved in raw food and plant-based projects around the world, and travels extensively to forward his mission to show others that food can be delicious and vibrant, while still healthful.